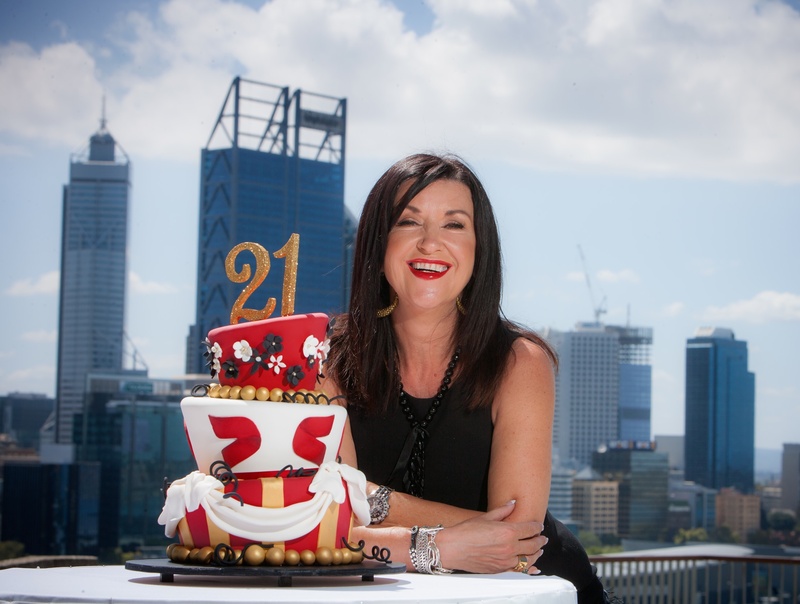 Devahasdin, the Perth-based boutique public relations, social media, events and marketing company, is proud to be celebrating 21 successful years in business this month. Founded in 1994 by Sandra Devahasdin, the ebullient Scot has remained at the helm of the organisation, which boasts an impressive nationwide client portfolio spanning across all sectors. Now one of the longest standing Australian-founded consultancies in WA, Devahasdin has marked the milestone by launching a new interactive website, a social media marketing arm, an event management product and is offering combined packages for new and existing clients. Embodying the creativity that they give to client campaigns, the Devahasdin team will also be engaging in various celebratory events – such as 21 random acts of kindness – all of which will be recorded on the company blog. Devahasdin has also committed to making an impact on at least 21 PR and marketing students therefore giving back to the industry. Last year Sandra Devahasdin was inducted into the Public Relations Institute of Australia’s College of Fellows; a clear show of support from her peers for two decades of dedicated and exceptional service in the industry. Sandra is renowned for her philanthropy with pro-bono contributions to various charity events; charity boards and often offers up her time to speak to the young guns entering the industry. She is also the longest serving national judge at the Telstra Women’s Business Awards. Pondering the future, Sandra says she is excited by the myriad opportunities presented by social media. Reinventing the way you do things is such a refreshing way to do business. “New ways of communicating to our target markets is something we keep exploring. We have just launched a new social media arm at Devahasdin, offering content marketing, social media strategy, management and much more. The landscape of PR and communications in general has changed so much in two decades. It’s important for our clients that we progress and stay on top of media trends,” said Sandra. To learn more about Devahasdin and its services, call 08 9226 2222 today. The business was started by Sandra Devahasdin in the front room of her suburban home and has grown from strength to strength. Today Devahasdin still runs the show and doesn’t look like slowing down any time soon. Here’s how it all started. Life as the PR Manager for the Sheraton Hotel in Perth was very busy for Sandra Devahasdin. She excelled in the role earning international accolades for her ability to build strong profiles for people and places, for creating memorable events and for her sheer dedication to the hospitality and tourism industry in Perth. In 1994 it was time for a change. She had given birth to her first child and felt a strong desire to spend as much time with him as she could. Working from home seemed to be the perfect solution. So with her raft of PR and marketing skills, a decade of business management experience, and a big dose of Scottish courage, she started her own business with just one small computer in the front room of her Mt Lawley home – and one client. Word soon filtered out that there was a new PR player in the market, a feisty yet incredibly personable woman who was getting great results. People who knew Sandra from the Sheraton were keen to recommend her and to work with her again; such was her enviable reputation. The business kept growing and soon boasted high profile clients such as Coles Mayer, Mercedes Benz, and Department for Communities. It was clear that Hospitality and Tourism clients were finding their way to Devahasdin with Intercontinental Hotels and Resorts, Bunker bay, Cable Beach Resort, Air Mauritius, Air Asia and Shangri-La on board. Then the Singapore Tourism Board secured the services of the firm to be its representative office in Australia. A big coup for Devahasdin and the beginning of an 11-year relationship that saw substantial growth in visitor numbers to Singapore over the period. It further expanded the capacity of the business and built solid and beneficial networks worldwide. By now there were two offices of employees. Devahasdin boasts many ‘big’ clients for a small firm. ING, Lotteries WA and Department for Citizenship and Multicultural Affairs, Ikea, Office of the Auditor General, City of Perth, Qatar Airways, Westfield, Coles Myer, Heart Foundation, Variety WA, and Bethanie. Some really big events in the history of Perth help further strengthen Devahasdin’s reputation around town. The rebranding of Aherns to David Jones was a massive PR event for Perth. The WA Youth Awards was a large awards showcase that was built by Devahasdin from inception. The Centenary of Federation was an event of great historical significance and was logistically complicated. The results were spectacular and acknowledged in the National Archives. The Cadet Challenge saw 3,500 cadets from all over the state/country converge onto the Perth Esplanade for four days of team building activities. Devahasdin organized every aspect of the infrastructure for that event and it was indeed colossal. Some clients have won awards based on the work by Devahasdin. The Treasures of the Kremlin brought the priceless collection of Faberge Eggs and other artwork to Morley Galleria. It won an international marketing award, as did the launch of IGA’s Harbour Town in Perth and Adelaide. “There’s never a dull moment in this business,” said Devahasdin. But then nothing is dull around the ironically bold and effervescent Scot. She has as much passion for life as she does for her job. According to her staff she is positive, inspiring and motivating. Sandra won’t be sitting around thinking about what she has done in the past 21 years, she will be thinking about what she is going to do in the next 21 years.